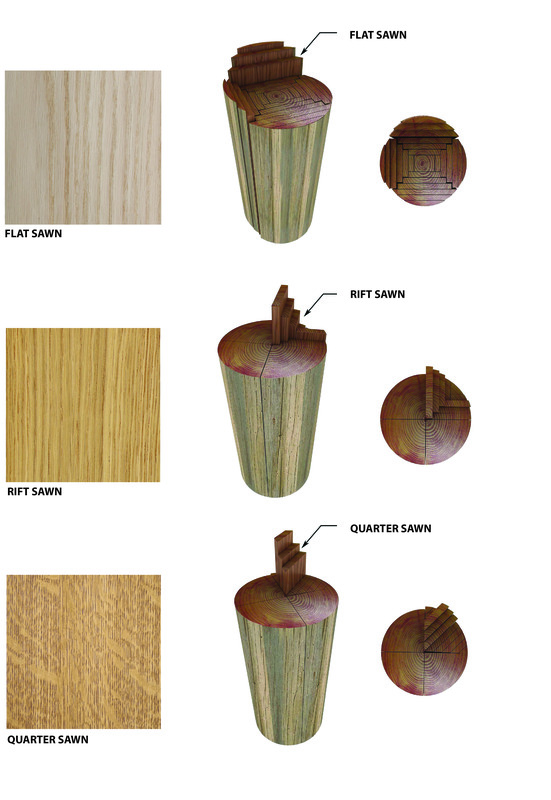 The wood illustrations below show a few of the typical grain terms that are frequently used when specifying the surface of veneer or a piece of lumber. These various grain patterns are achieved by sawing the log in different angles. Flat sawn grained boards produces rings that are tangent to the wide face of the board, whereas quarter sawn boards produce grain that is almost perpendicular to the face of the board. 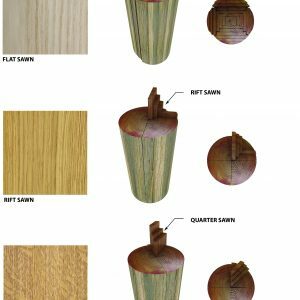 The term rift sawn or rift grain refers to grain that meets the surface of the board between 45º and 90º, and is commonly used when describing Oak.